Guys n Dolls are very pleased to announce that we now offer Acrylic Nails to our customers. You asked for it, we listened and now we are providing. 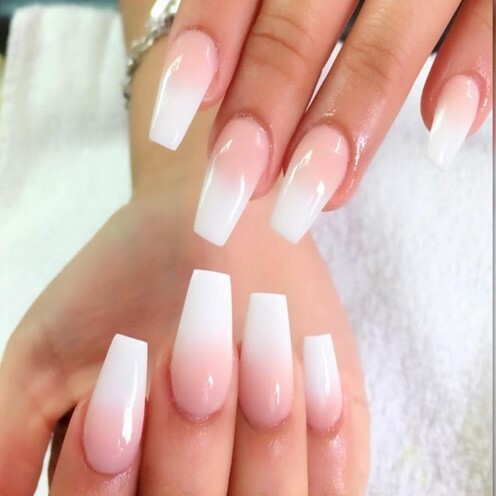 Acrylic Nails are known for their durability and they can add length to your own Nail, any shape can be added and are ideal if you are not able to grow your own length. Think of it as extensions but not for the hair for the nail. Our new Nail Technician has won several awards and has featured in many TV programmes, Magazines and has been asked to feature on many photo shoots at the request of many Celebrities. Tips are lightweight “nail”-shaped plastic plates glued on the end of the natural nail. Forms are shaped sheets with a sticky edge that is effectively wrapped around the tip of the finger. Atop these, either acrylic, hard gel, or any combination of both may be applied. Tips are available in many different designs, ranging from solid colours like gel or regular nail polish to graphic designs such as animal prints and metallic colours. 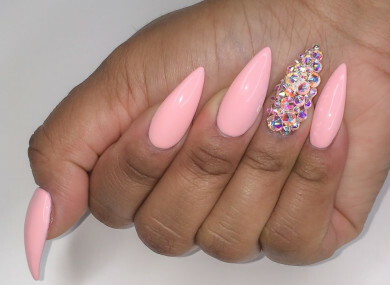 Artificial nails can be shaped, cut, and filed into a variety of shapes, including square, squared oval/”squoval”, rounded, almond, ballerina/coffin, or stiletto. Our Technician uses no drills at all, this is all created by hand. 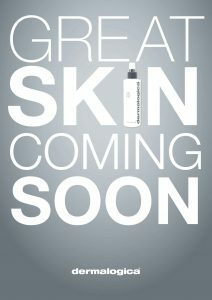 Therefore creating a unique look and is much safer regarding hygiene. Another popular alternative to acrylic or gel are fiberglass or silk nail wraps. These are formed by cutting pieces of fiberglass, silk fabric, or another material to fit on the surface of the nail (or a tip attached prior), to be sealed onto the nail plate with a layer of resin or glue. Those allergic to chemicals present in the aforementioned materials find a possible alternative in nail wraps. They may also be used to protect a nail if it breaks; the silk or fiberglass overlay acts as a false layer of nail, protecting the nail plate from splitting or becoming damaged. Typically, these methods require the assistance of a trained professional. Cheaper, less rigid tips that can be quickly glued at home are an option to those unwilling to enlist one. Another inexpensive option are stick-on nails, the durability of which ranges from one day to two weeks. Now you know the facts – Get booked in ASAP. They have landed and they are here to stay – Acrylic Nails. 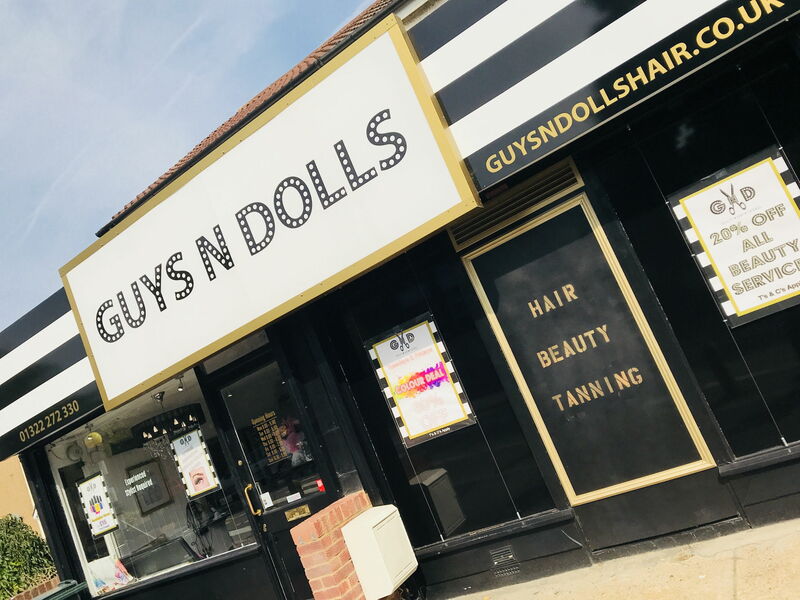 Now available at Guys n Dolls. We look forward to seeing you soon and your fabulous set of new nails.